Few places celebrate history as thoroughly as Boydton, located about 10 miles northeast of Clarksville. The town was founded in 1812 by Alexander Boyd, who not only owned the property, he designed the town. For the next 190 years, Boydton served, at various times, as a horse-breeding center, a train depot town, the site of a Union raid during the Civil War and the seat of Mecklenburg County. It wasn’t until 2002, when a beloved historical building was threatened with being razed, that the town unified and restored their historical district. Since then, the district has become listed on the National Register of Historic Places and Boydton has held numerous historical reenactment celebrations, including a bicentennial celebration in 2012. Before Alexander Boyd founded a town, he founded a tavern. When the original Boyd Tavern was built in 1790, it was a small, one-story tavern and residence. But the tavern business was good, so around 1816, the building was expanded and its exterior was given a federal architectural alert. Not surprising for its historical status, the Boyd Tavern played a small role in the Civil War, as Confederate soldiers from Mecklenburg County mustered there. After the war, the tavern went through more architectural changes, which are often attributed to Jacob Holt, one of Virginia’s major architects of the period. In the late 19th century, the tavern was converted first to a boarding house and then to apartments, which is how it stayed for most of the 20th century. In 1976, the Boyd Tavern was placed on the Virginia Landmark Register and the National Register of Historic Places. Since 1988, it has been under the care of the Boyd Tavern Foundation, and significantly restored. Just off of Route 46 in Brunswick County is the site of one of the largest frontier forts in Virginia history. 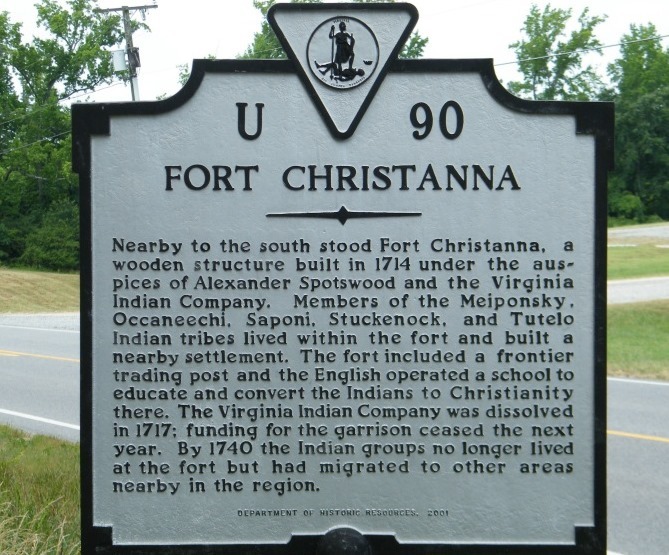 Built in 1714, Fort Christianna served as both a military fort and a major center of trade between the Native Americans and the European settlers. Today, all that remains of the fort are outlines of its five corners, but the site is enhanced by markers that explain the vital importance of the fort to Virginia history. And in a nod to more modern times, Fort Christianna is also a spot on the Civil Rights in Education Heritage Trail. 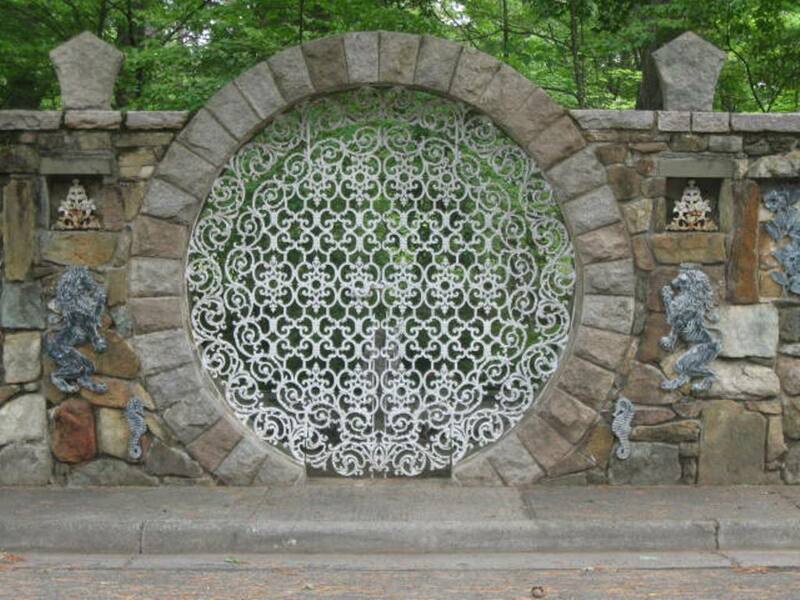 The MacCallum More (Scottish for “home of the clan”) gardens were opened in 1929 by Lucy M. Hudgins, wife of Edward W. Hudgins, former Chief Justice of the Virginia Supreme Court of Appeals. 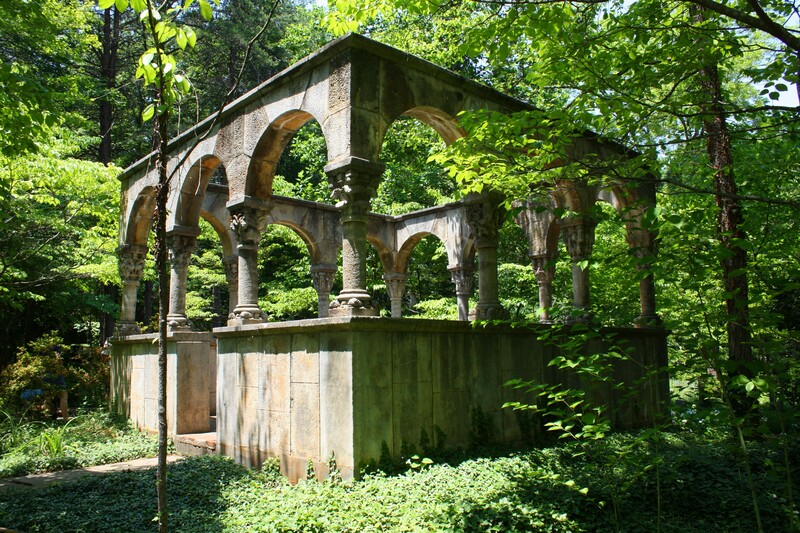 The gardens include a fountain modeled after a fountain at the Alhambra in Spain, a cloister imported from Italy, a rose garden, herb garden and wildflower garden. The museum opened in 1976 and houses permanent exhibits of Native American artifacts, items from a 19th-century African-American boarding school and memorabilia from the Mecklenburg Hotel, which was built in 1903. MacCallum More is listed on the Virginia Landmark Register and the National Register of Historic Places.